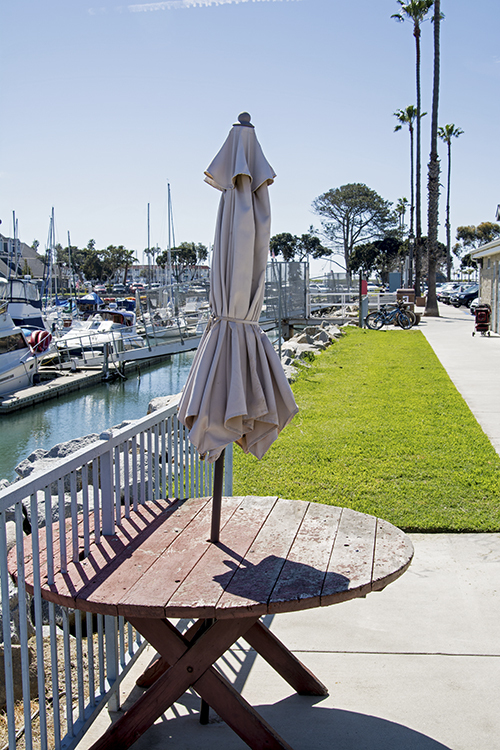 Oceanside Harbor isn’t exactly off the beaten path since it is quick exit from the busy Interstate 5. As you leave the freeway and head towards the harbor you will reach a dead-end and have to go either right or left. Going right, won’t get you very far as you will soon be greeted by an armed sentry asking you for your I.D. 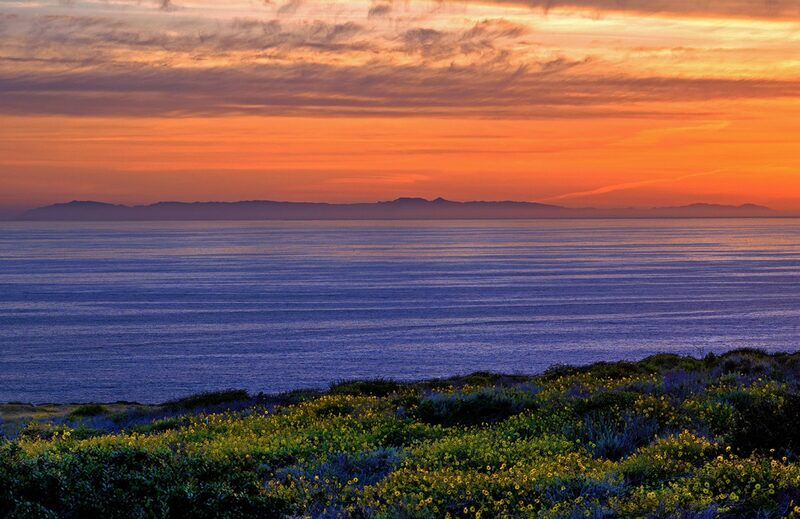 and what your business is on Camp Pendleton. Officially called Marine Corps Base Camp Pendleton, this gate and parts of the base are just a chain-link-fence away from the harbor. That is, a chained link fence with barbed wire! So it is best to take a left into Oceanside Harbor where you will be greeted by a colorful lighthouse instead of a M16 rifle. After you make that left turn you will be descending down a small hill and given one last choice to either veer left or right. Heading left you will enter what they call Oceanside Harbor Village. This area hasn’t changed much through the years and still has that Cape Cod feel with its charming buildings and design. Surrounded by the lighthouse, the village is an area filled with restaurants, novelty shops, rental places for boats, kayaks, or SUP’s and much more. 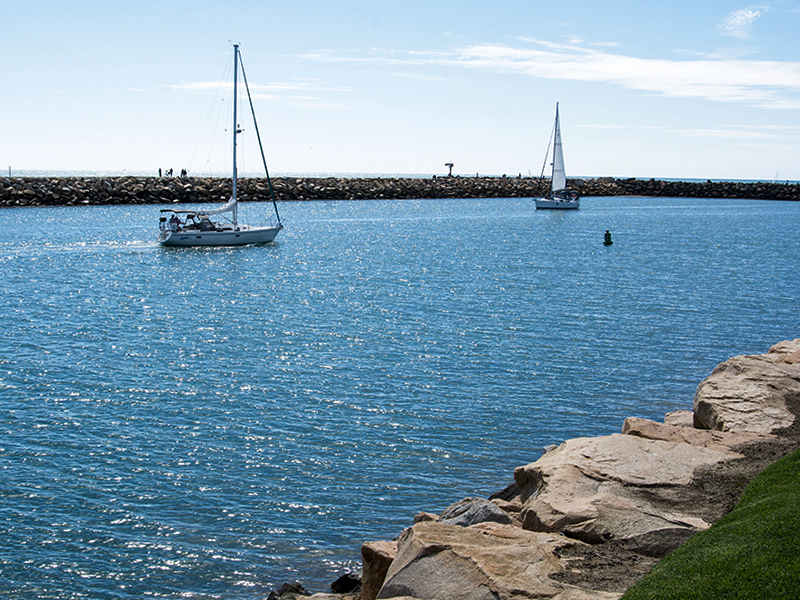 Here is also where you can charter boats, go on a whale watching trip, or a half-day fishing excursion. 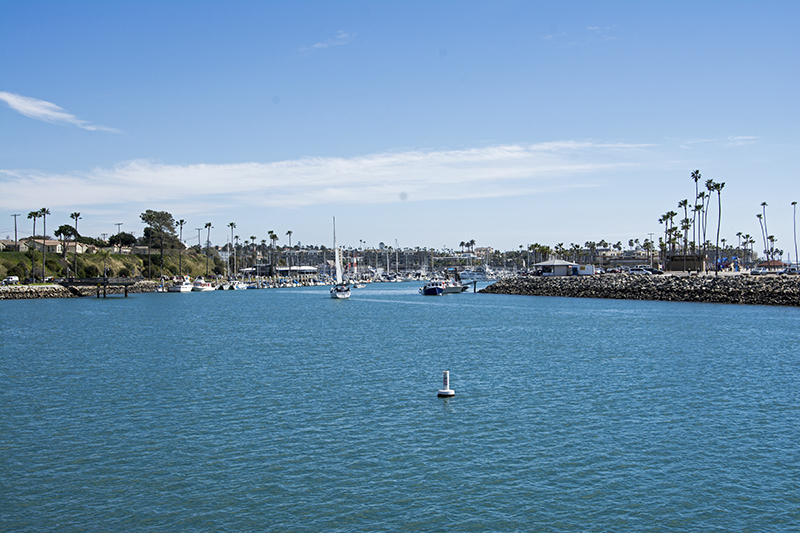 This is the heart of the Oceanside Harbor. A quaint coffee shop features music in the summer and a nearby ice-cream store serves up all of your favorite flavors. Only a short walk away from the harbor is a large beach with plenty of sand and a popular surfing area. 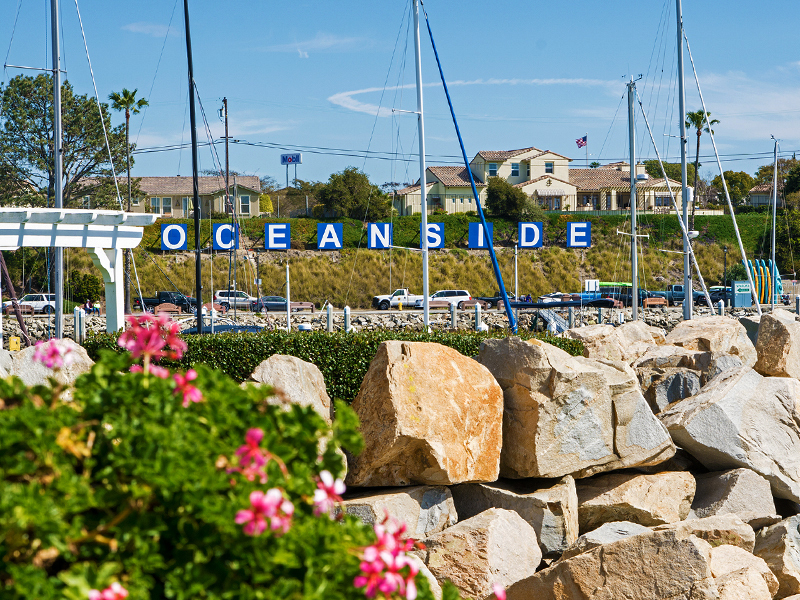 This is where most of the action in Oceanside Harbor happens, where the tourists and locals go to eat, shop, and play! 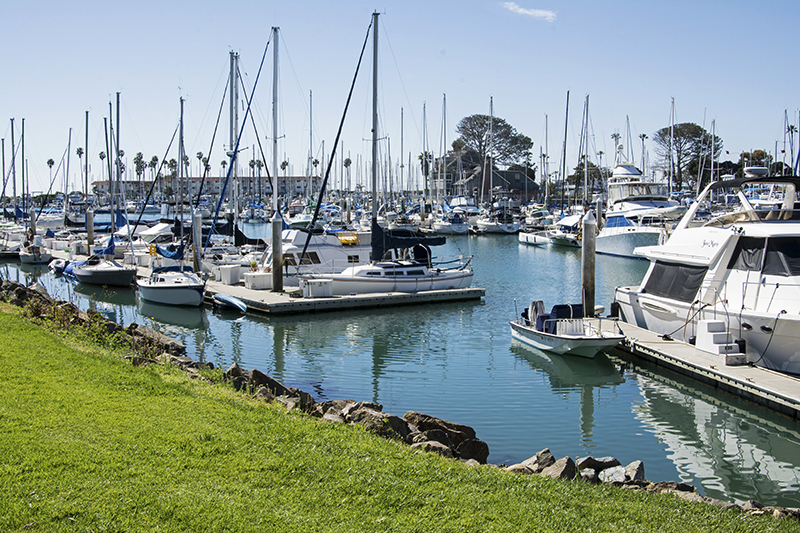 If you chose to turn right at the bottom of the hill, you will be venturing a little off the beaten path to the quieter north side of the harbor. This is a place you go to walk your dogs, fish, have a quiet picnic, chill out and watch the boats, or come for the sunset. Most of the boats are moored on the north side and on any given day the harbor is filled with all sorts of water vehicles including stand up paddle boards and kayaks. The road that takes you alongside the harbor allows you to park on either side for as long as you want. You can stay in your car and enjoy the view or get outside and take advantage of the strategically placed benches and cement picnic tables. There is a little wooden pier available for fishing and close by is a public dock for you to bring your boat out for the day or weekend. As you walk along the harbor, soon you will hear the sound of seals barking as this is home to quite a few of these large mammals. Pelicans are always flying by and on rare occasions you will see a dolphin here and there. Near the fishing dock, the harbor patrol office gives you a sense of safety and the big blue Oceanside sign shines brightly on the hill. 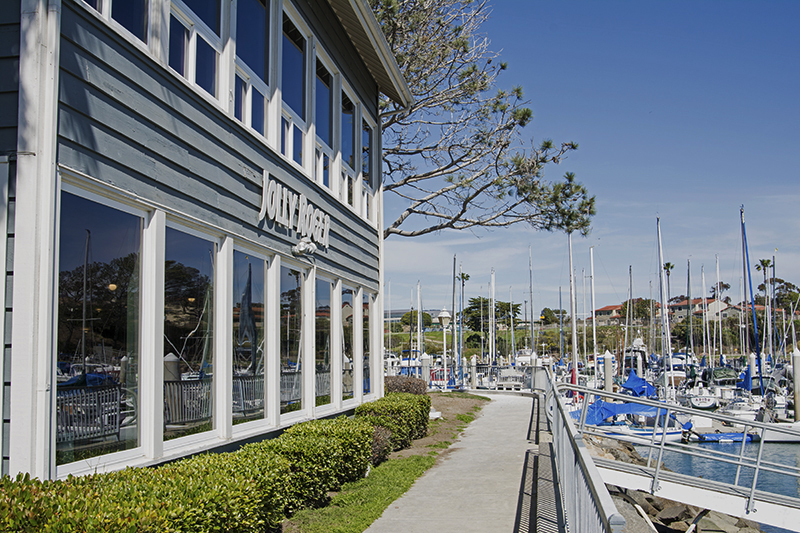 The sole eating establishment for the public on the far end of the harbor is the Jolly Roger Restaurant. Keeping with the Cape Code feel, this restaurant has been a staple of the harbor for well over 30 years. 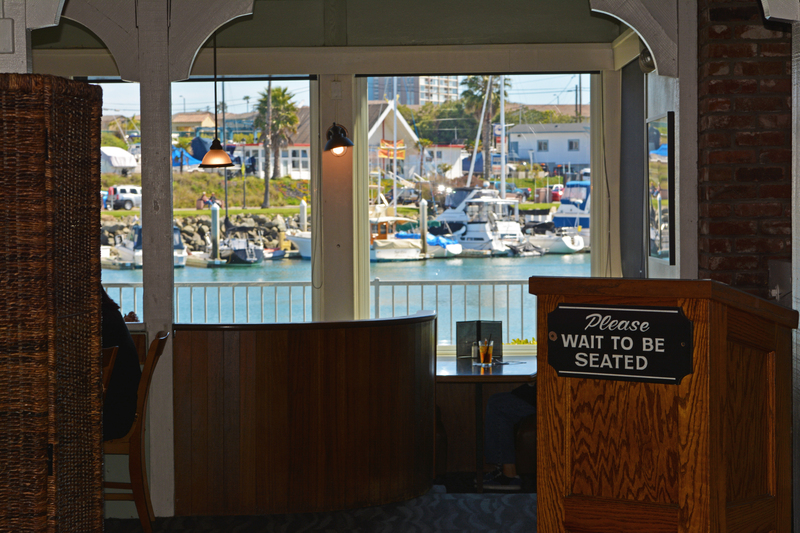 The large picture windows in the restaurant and lounge give it one of the best views in town. 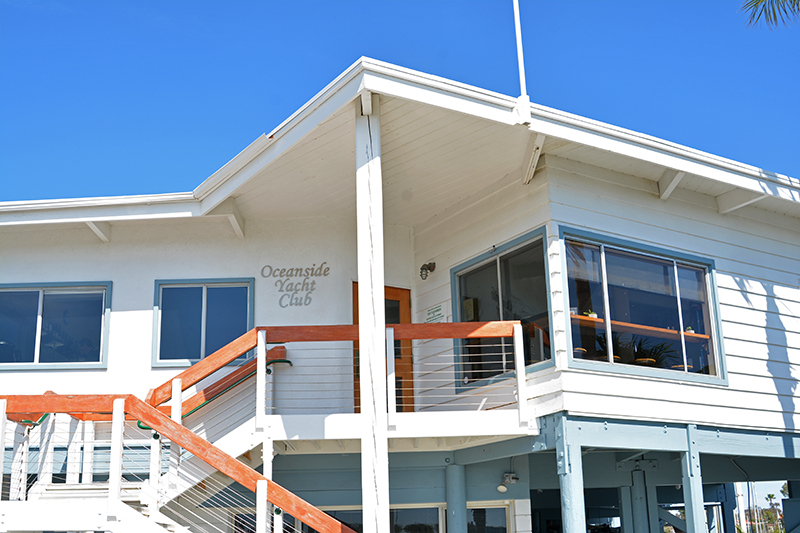 Further on down the side walk you pass by the private Oceanside Yacht Club that has an equally perfect view of the harbor but is open only for members and friends. 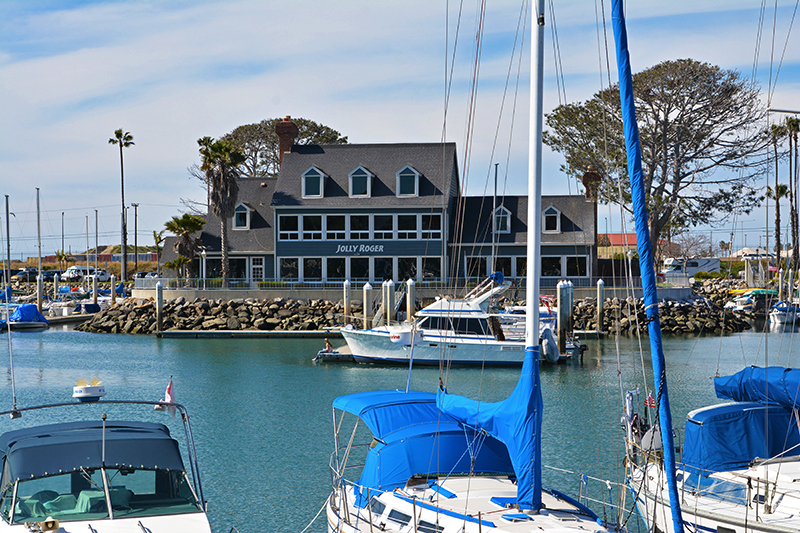 At the very end of the harbor you reach the Oceanside Marina Suites. 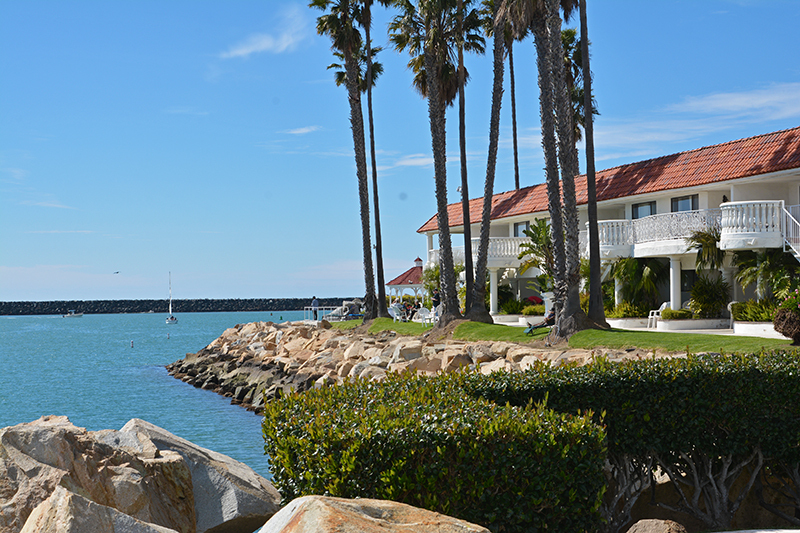 This secluded hotel sits right at the edge of the harbor with views of the entrance and the jetties. On any given day, scores of boats pass by and the sun sets right out front. A couple of gazebos make for an awesome wedding venue especially since they have a reception room on site and rooms face either the inner or outer harbor. 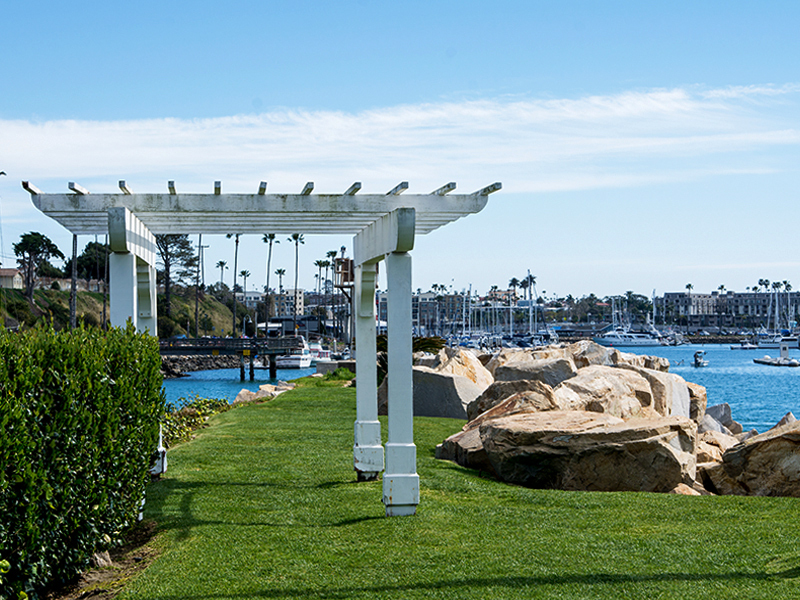 Rooms facing the harbor entrance have private patios and a grassy area to put your lounge chair. 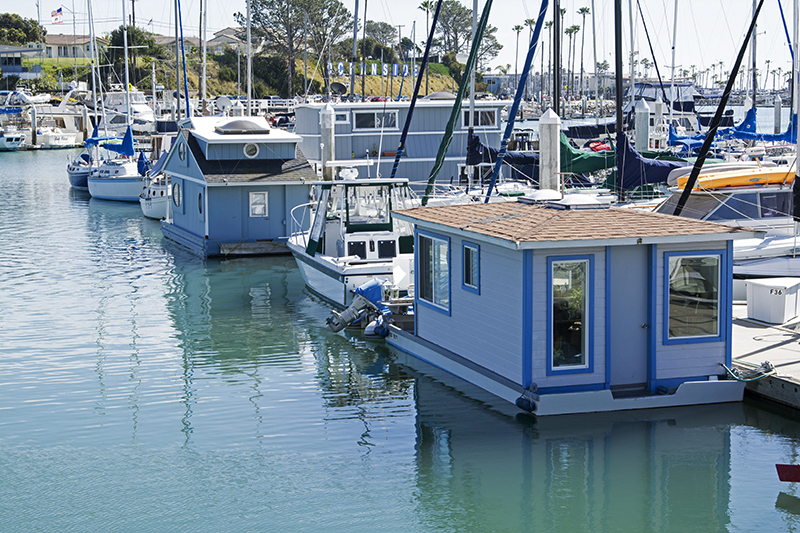 You can even fish 30 feet from your hotel room! In front of the suites. Quite a view. 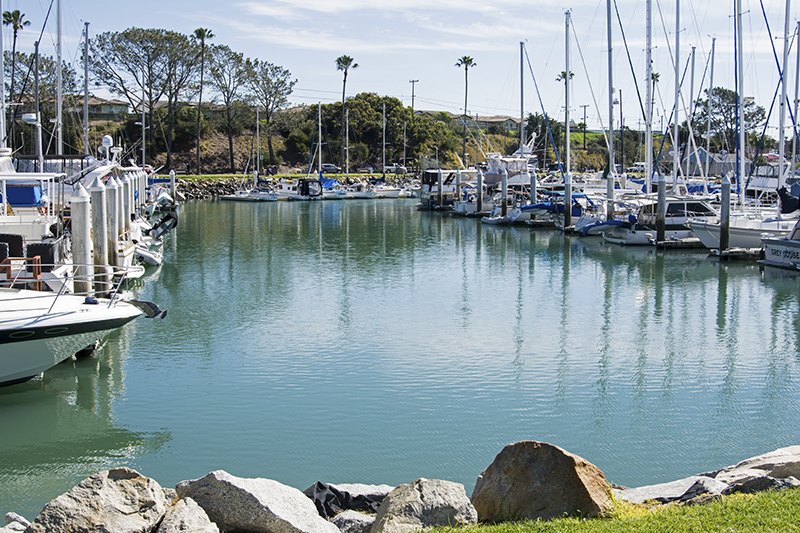 So if you aren’t staying at the Marina Suites or eating at the Jolly Roger, still make a stop at the North Oceanside Harbor for some peace and relaxation. 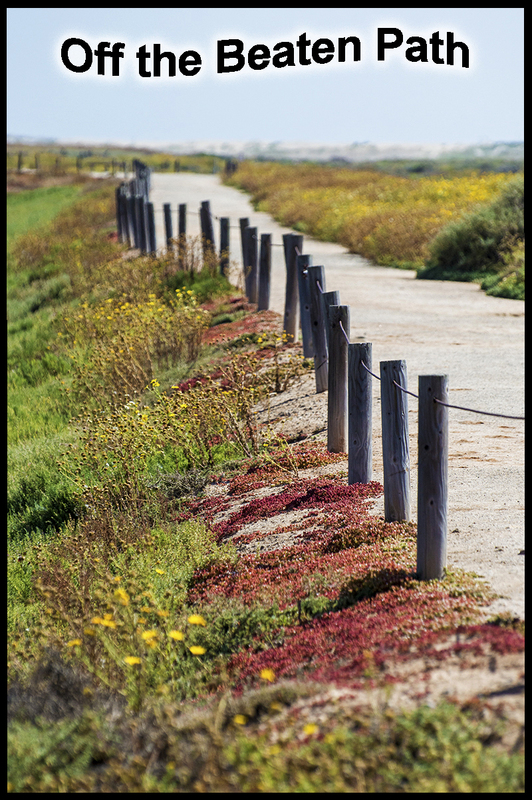 This is the place to take a walk, hear the seals, pack a picnic, or just sit at a bench and let your thoughts drift away from all of your worries. 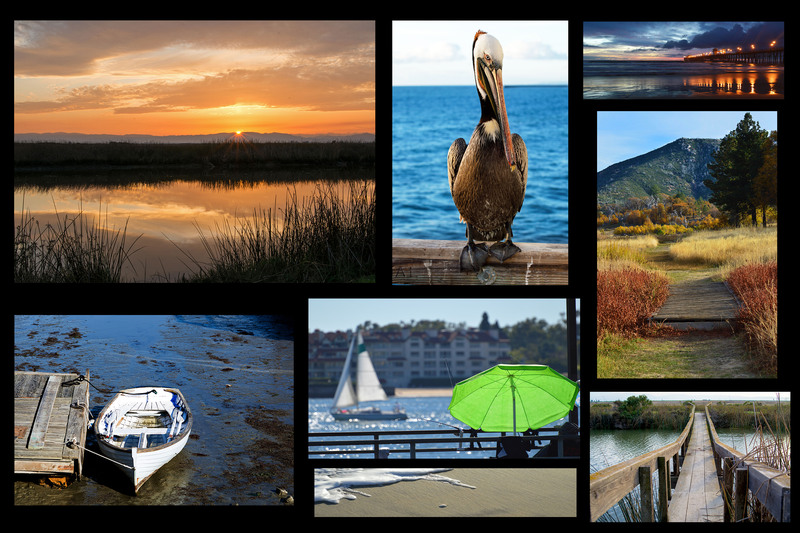 Hi there,I check your new stuff named “Off the Beaten Path–North Oceanside Harbor – Staycations California” regularly.Your humoristic style is awesome, keep up the good work! And you can look our website about free powerful love spells.